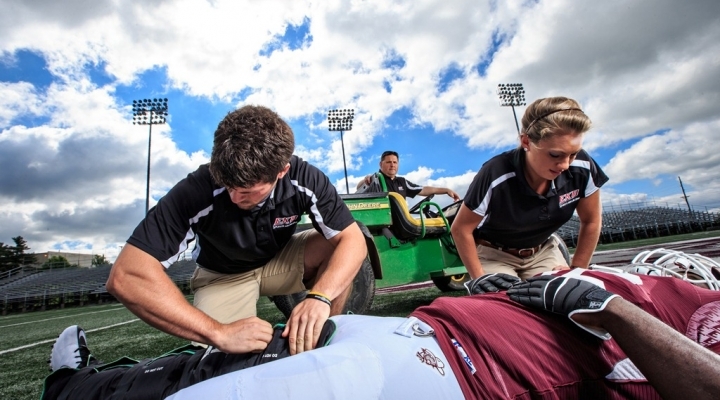 The Commission on Accreditation of Athletic Training Education (CAATE) requires all accreditated programs to provide standardized program effectiveness data publicly. These measures of effectiveness include retention, graduation, certification examination results and employment information for each year. *Students identified as enrolled have are enrolled in a post-baccalaureate healthcare program or residency. The aggregate is calculated by the number of students passing the exam in past three years divided by the total number of students taking the exam.